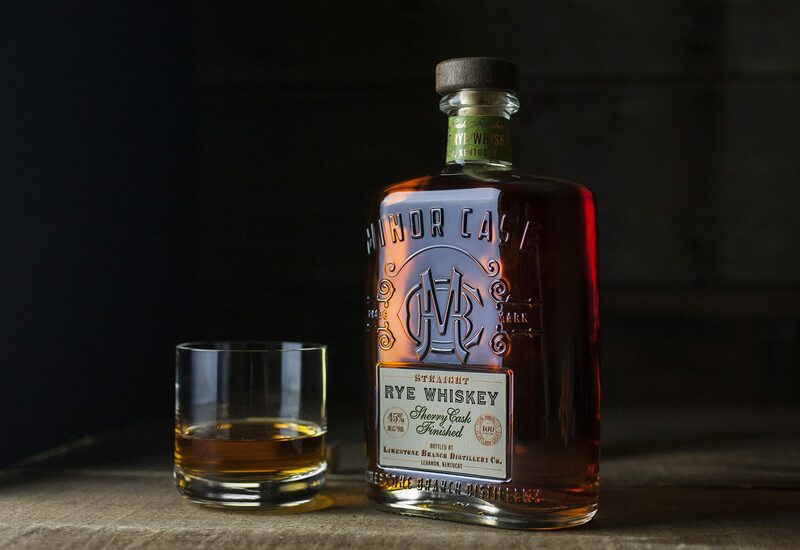 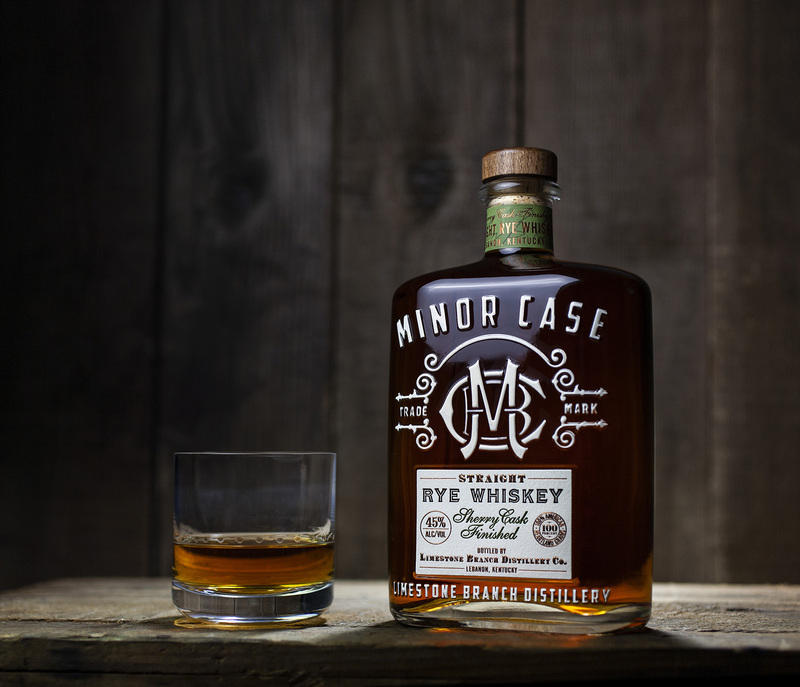 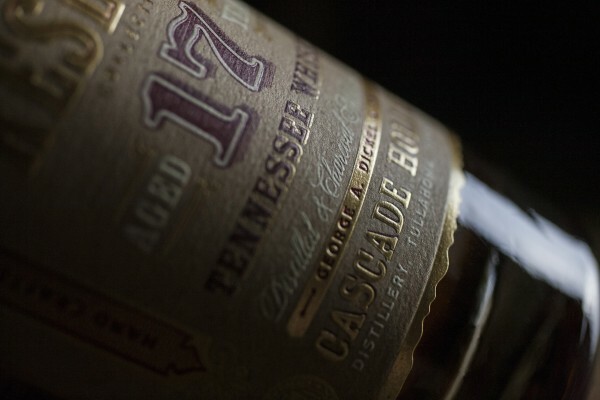 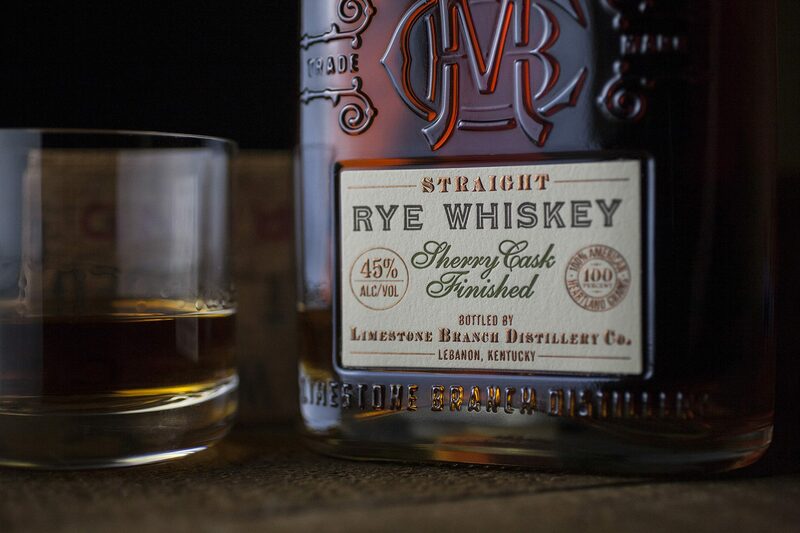 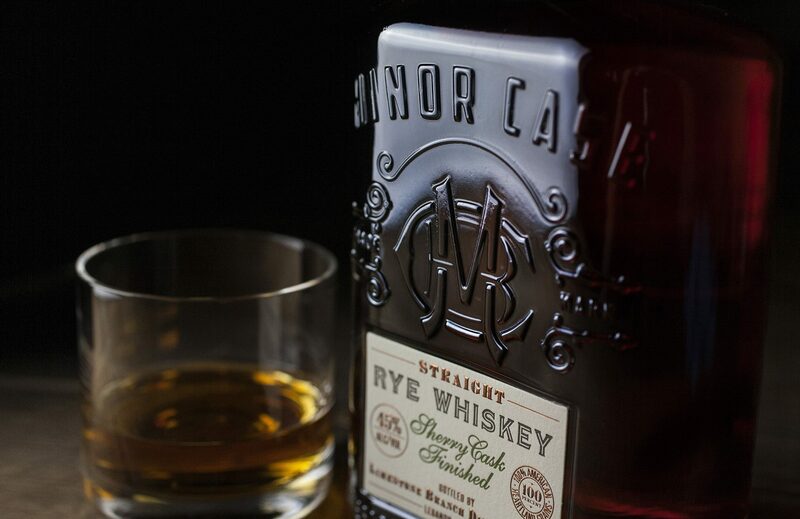 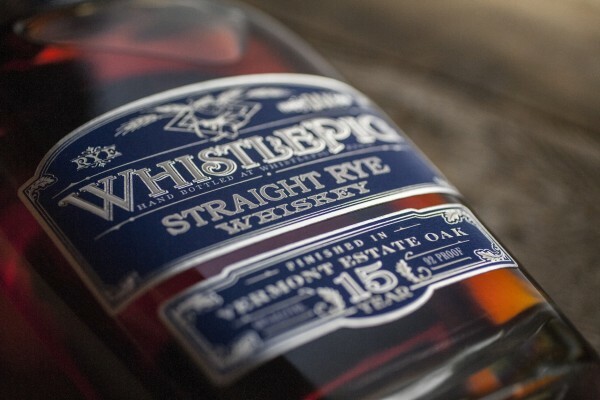 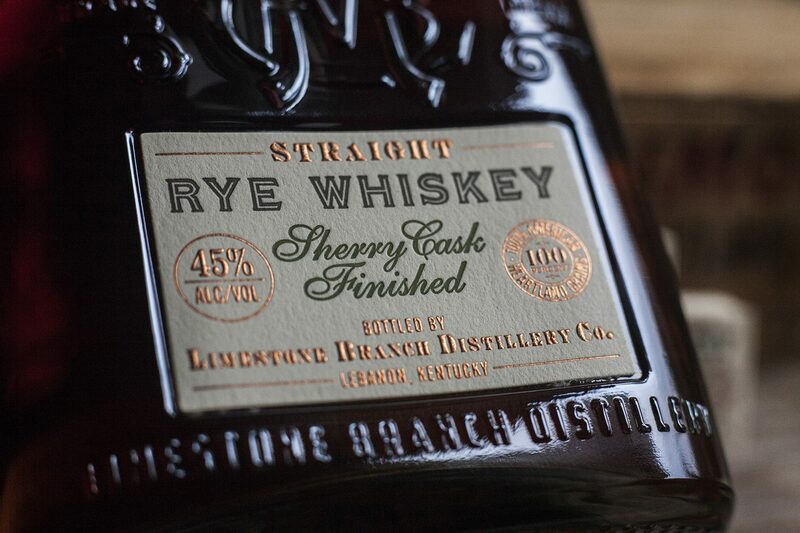 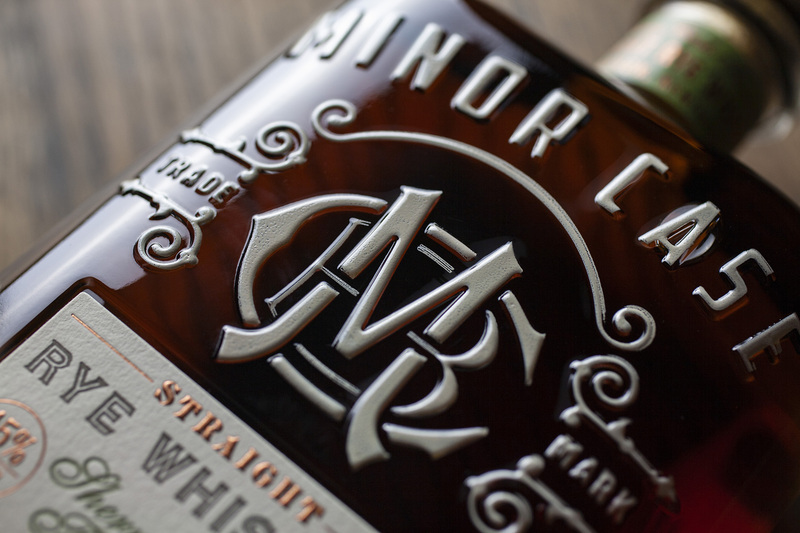 Minor Case Rye Whiskey is produced by Limestone Branch Distillery, in Lebanon Kentucky. 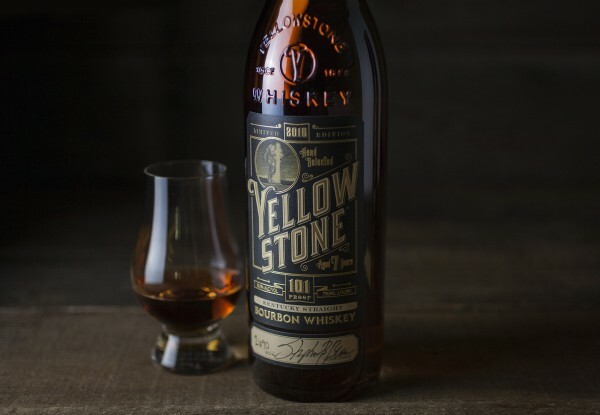 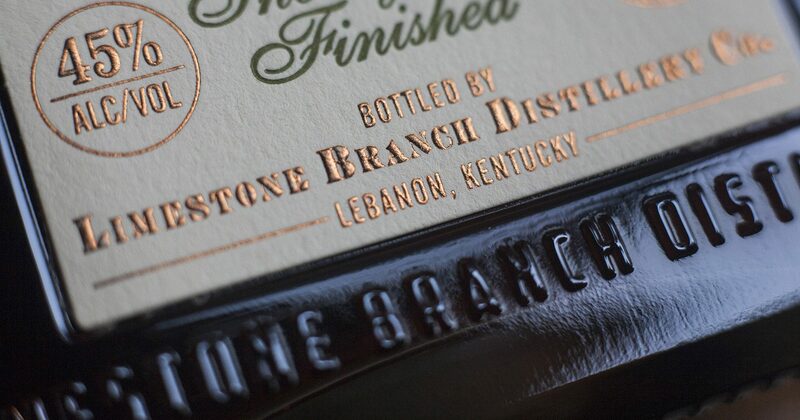 Limestone Branch is owned and operated by seventh-generation distillers, Steve & Paul Beam, of the legendary whiskey producing family. 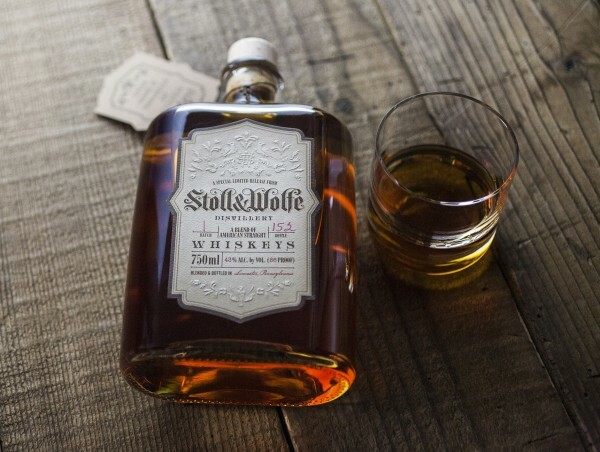 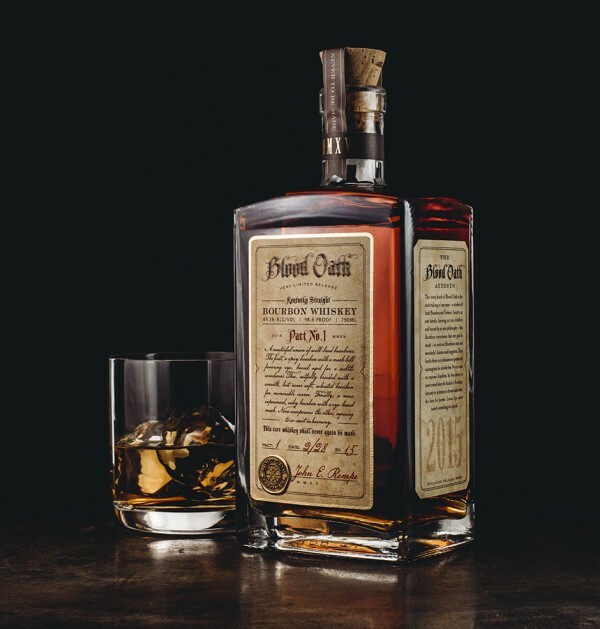 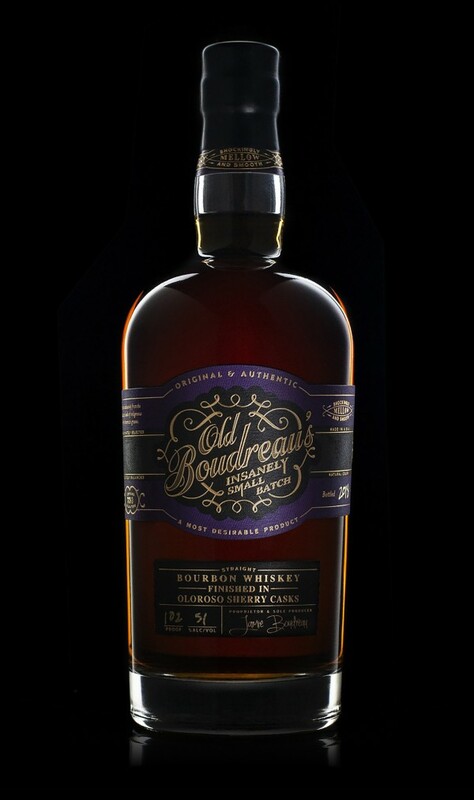 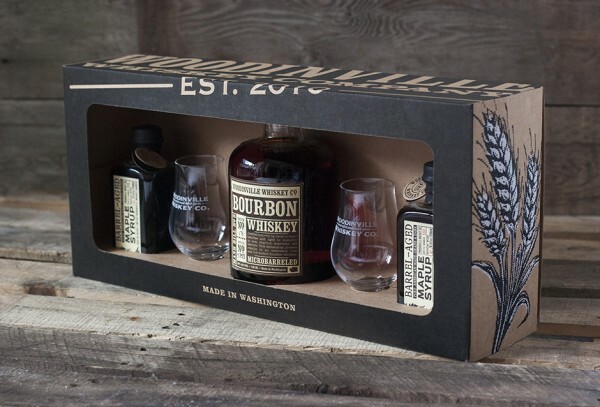 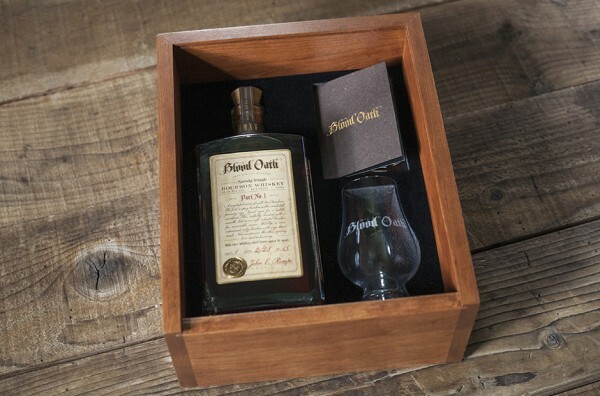 This package is based on an original bottle structure design, The Outlaw, which was inspired by prohibition-era pint whisky bottles. 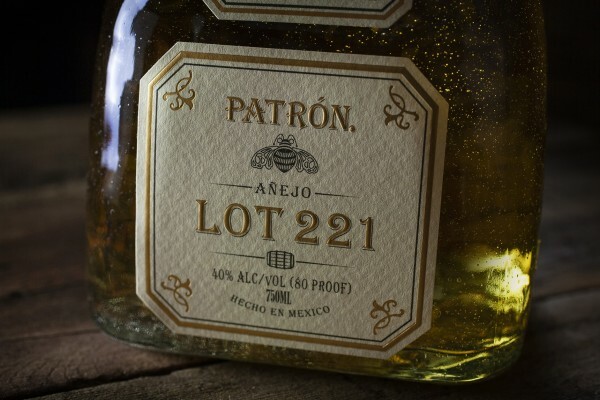 • Read more about the bottle here. 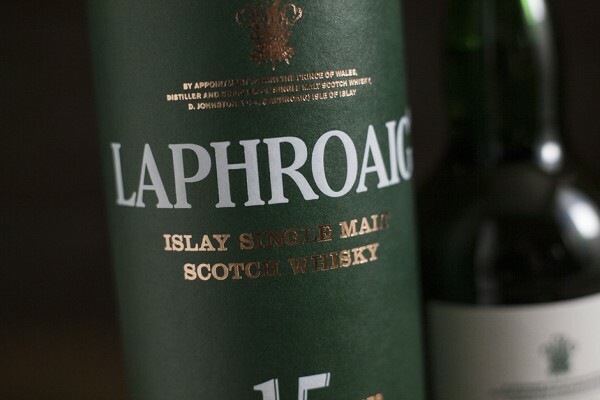 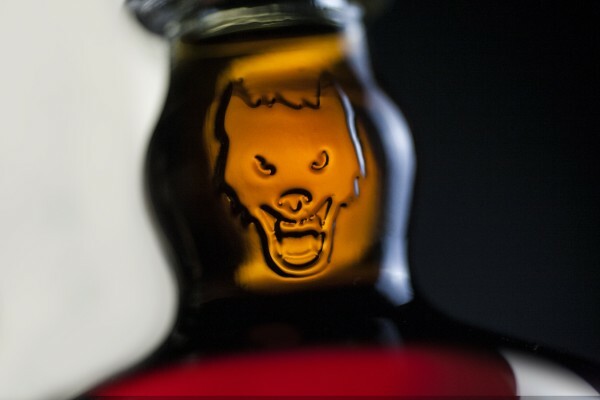 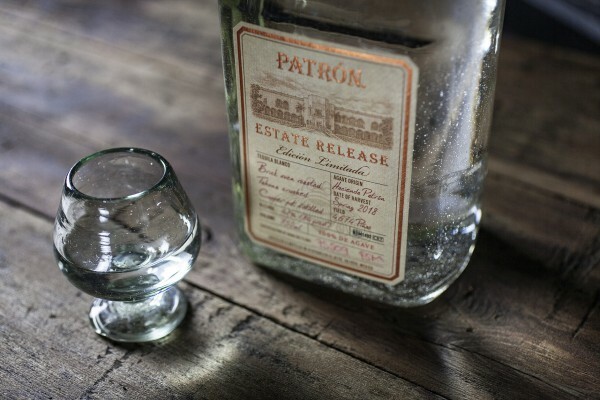 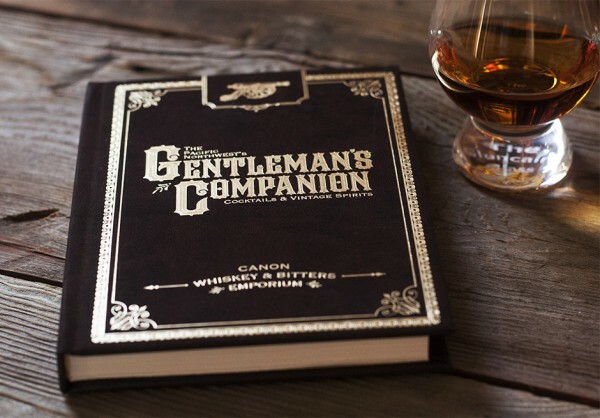 • Read more about the bottle’s inspiration and design process here. 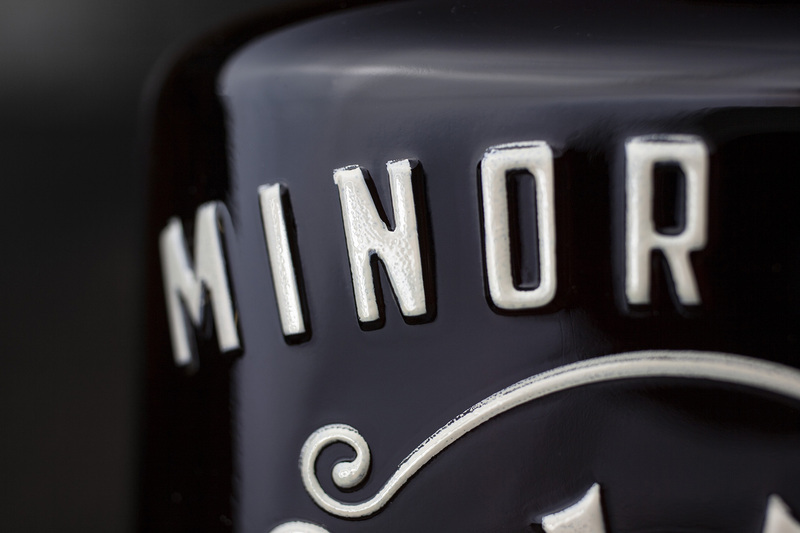 • Read more about the raised white lettering on this bottle, here. 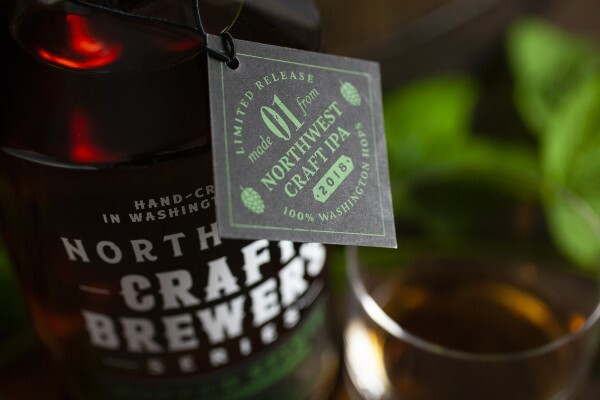 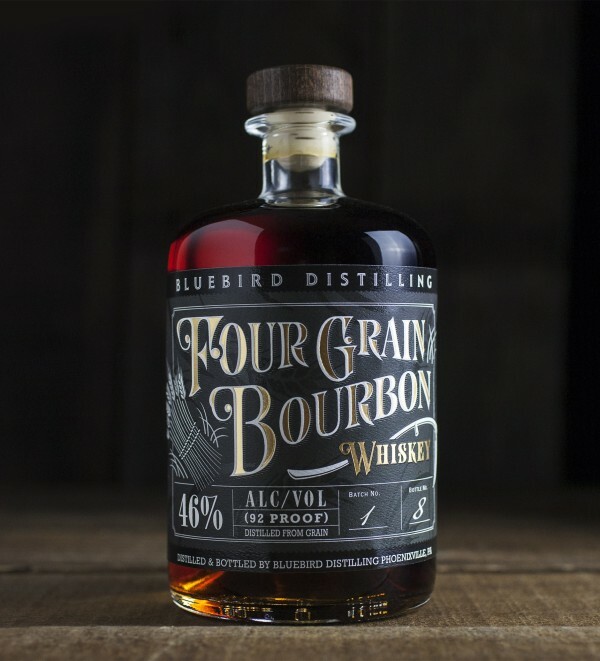 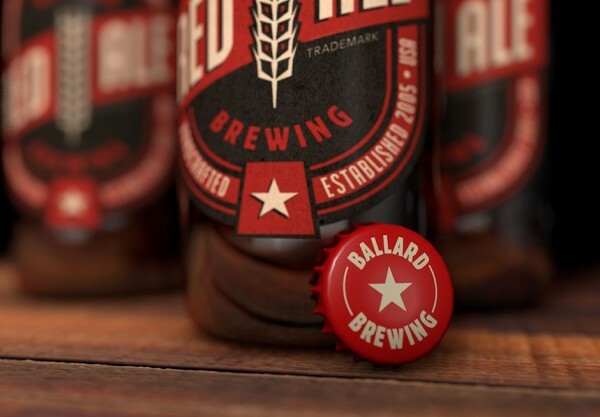 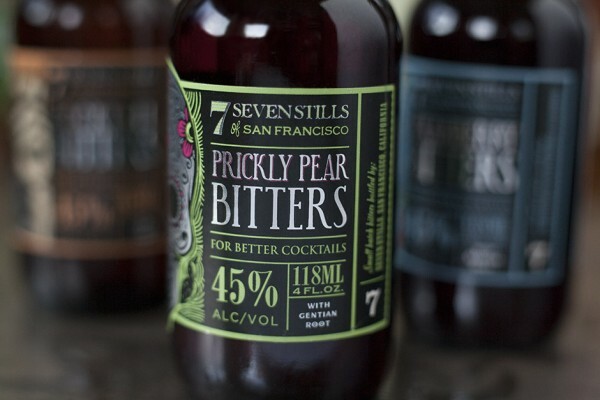 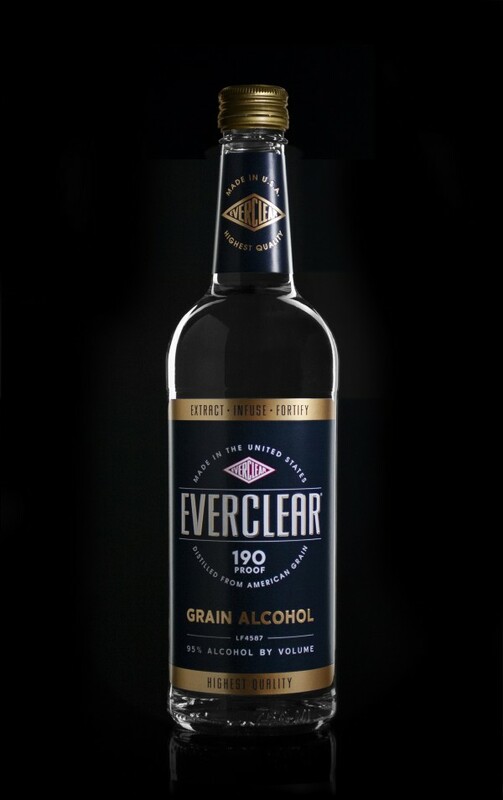 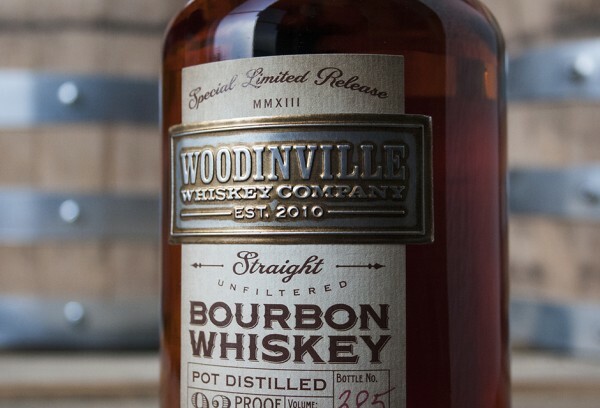 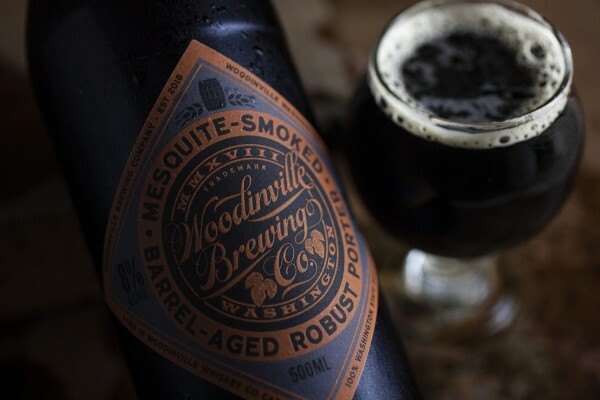 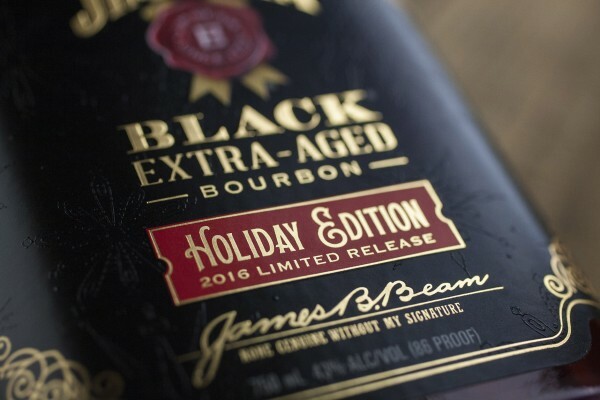 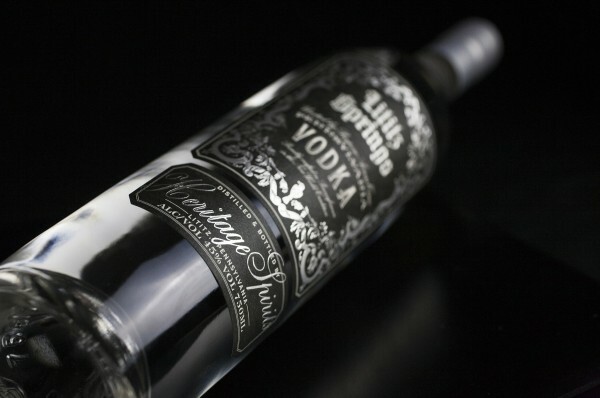 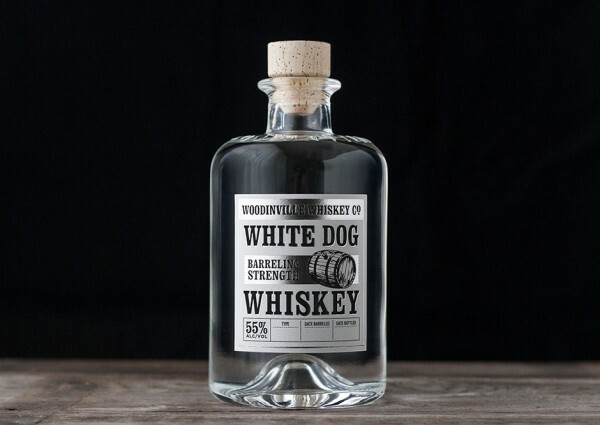 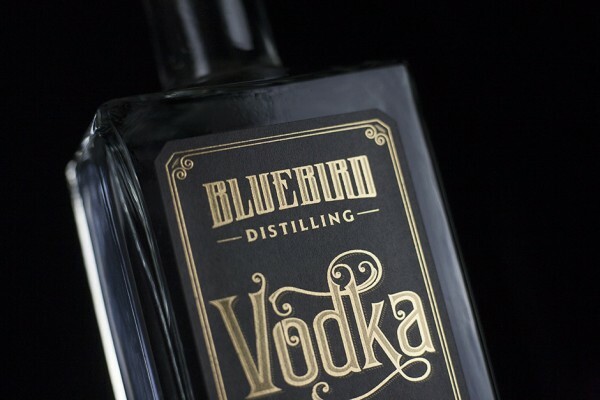 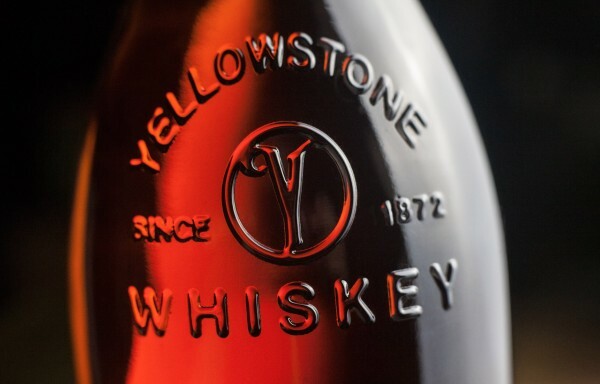 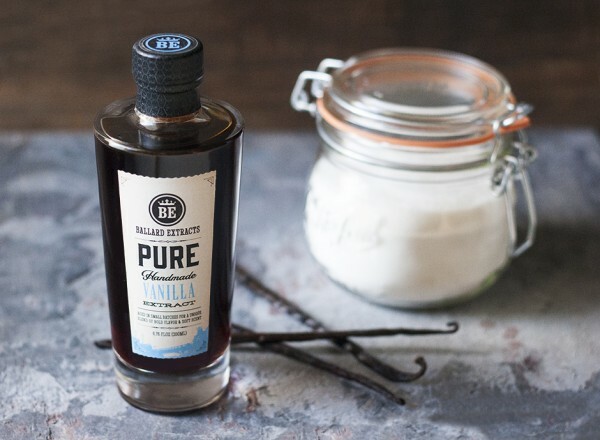 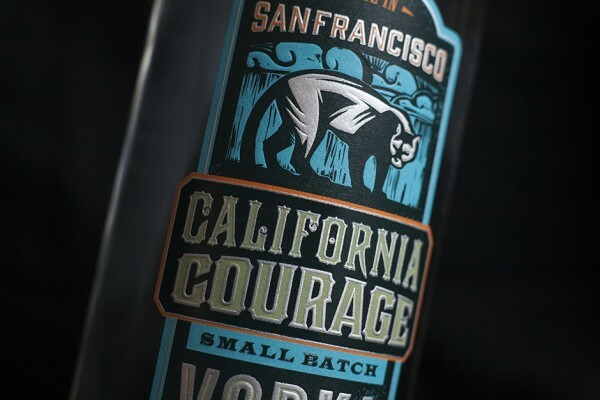 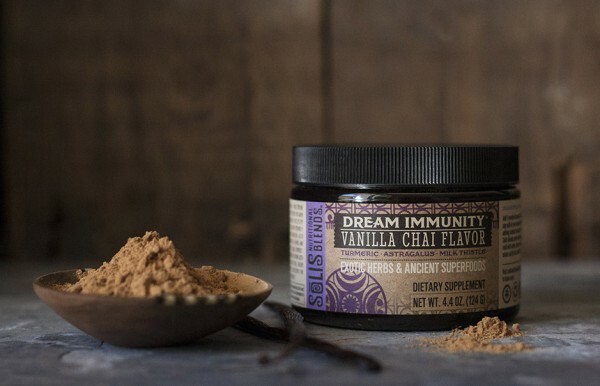 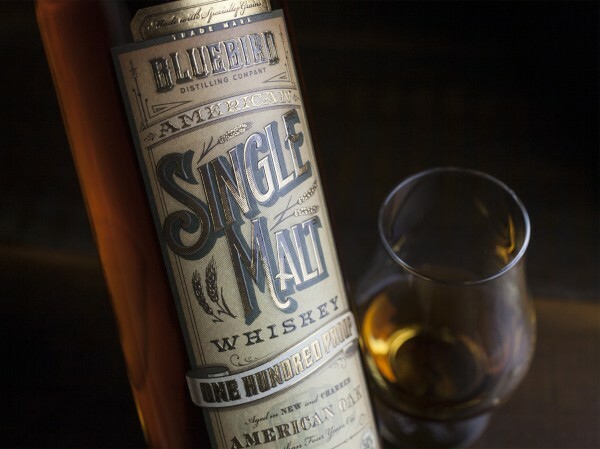 The labels are letterpress printed on non-adhesive stock and hand glued to each bottle, giving them a visual and tactile quality that just can’t be faked through any other print process. 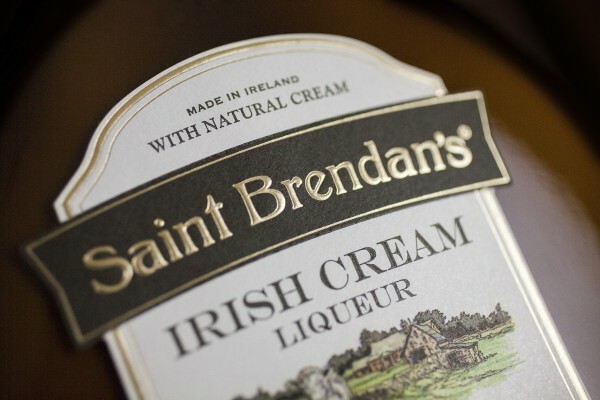 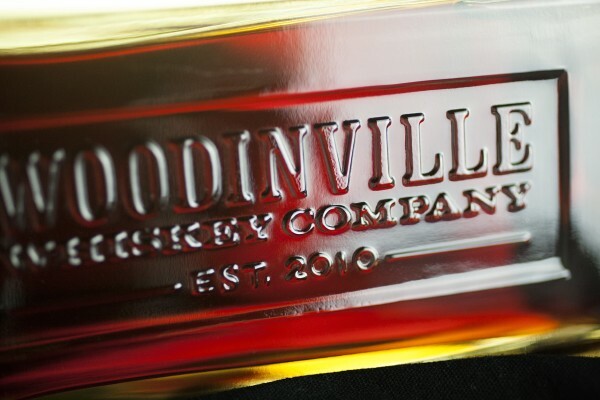 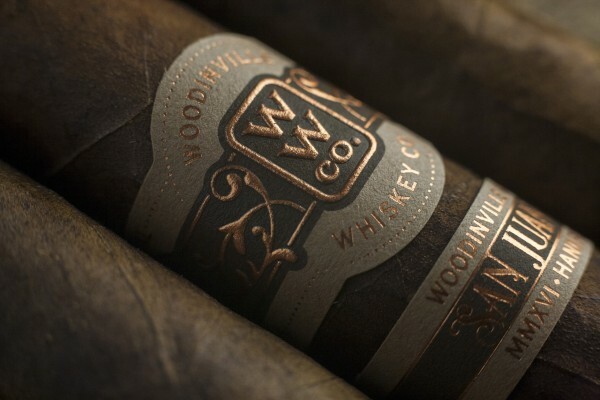 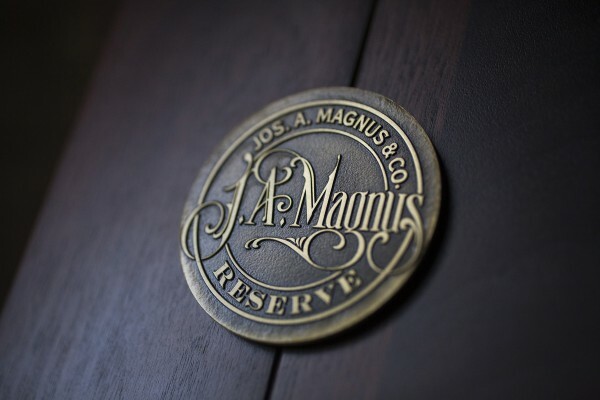 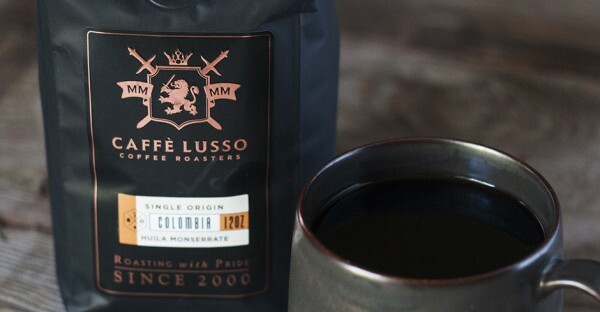 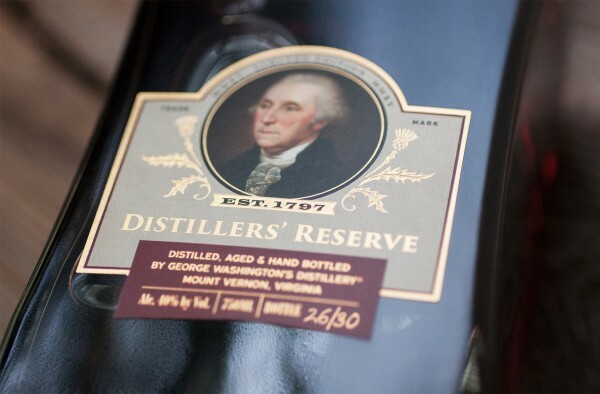 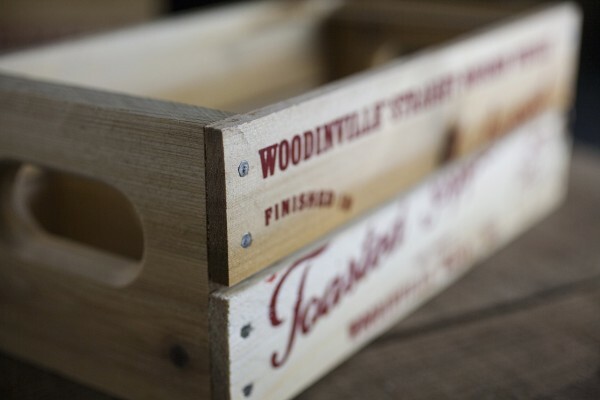 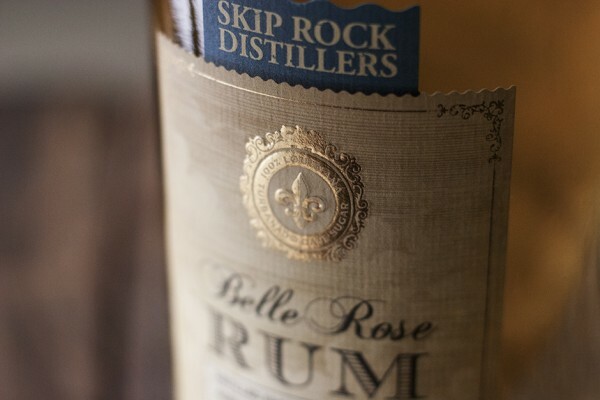 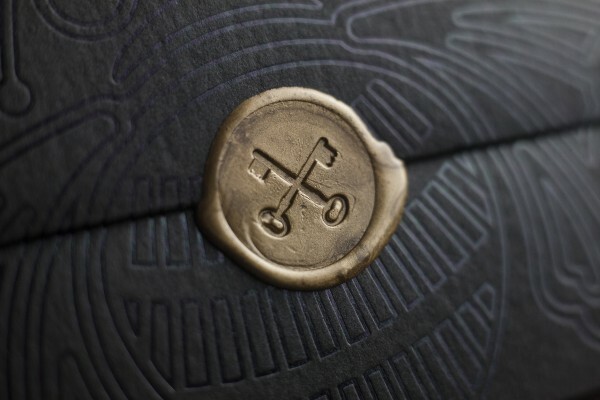 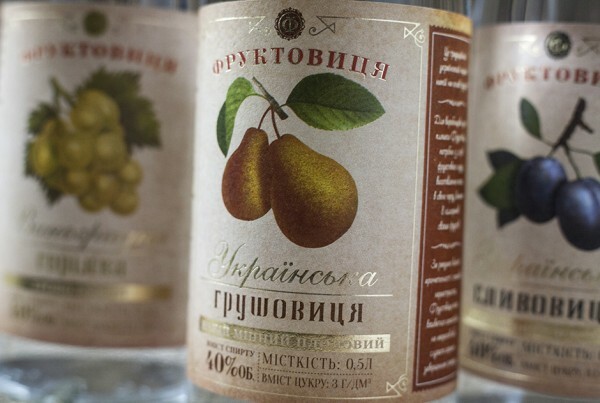 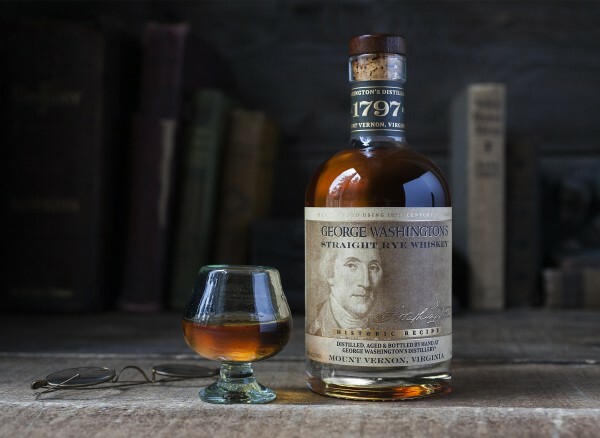 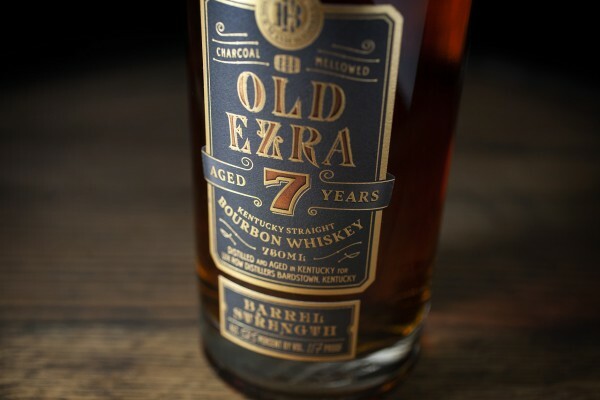 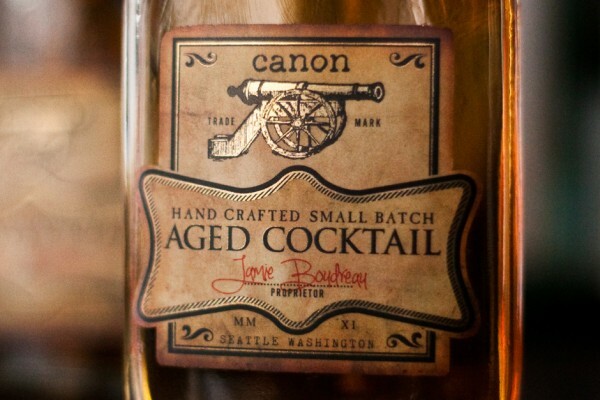 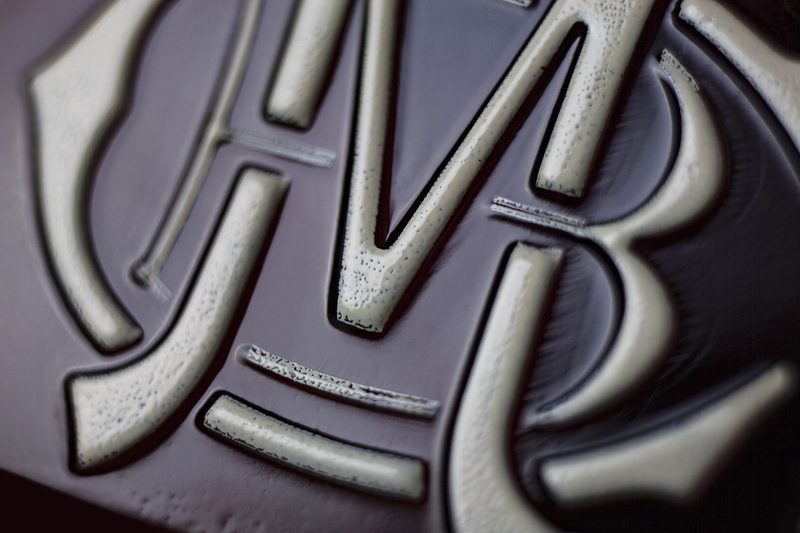 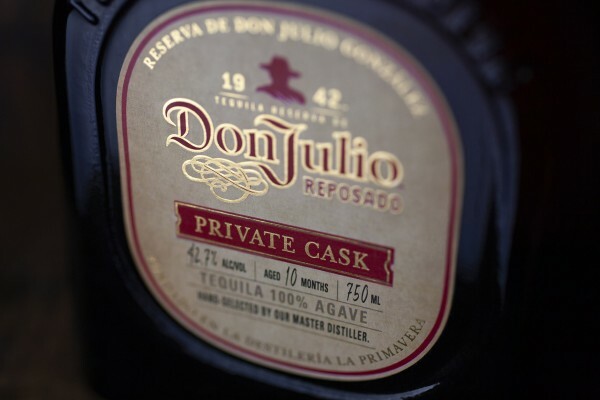 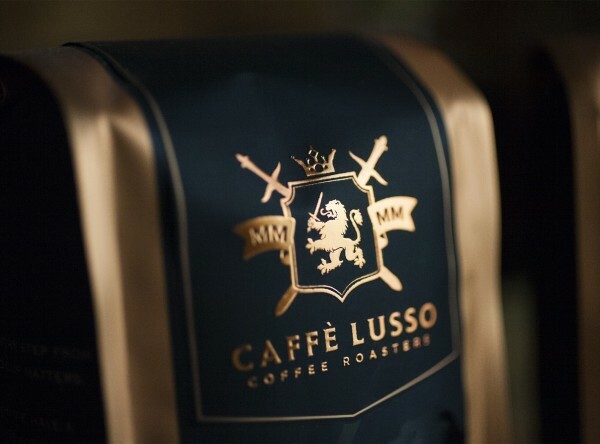 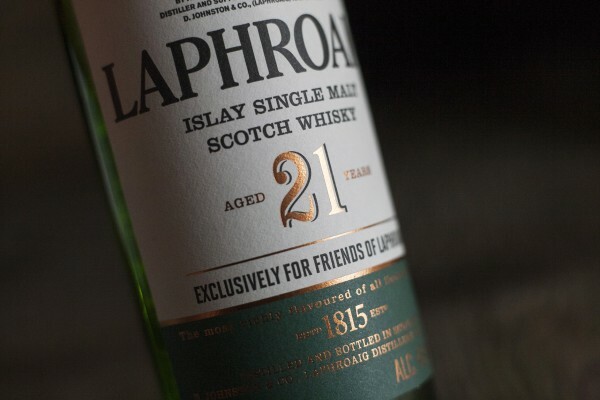 The antique print equipment used to create these labels is from the same era as the brand’s namesake and inspiration. 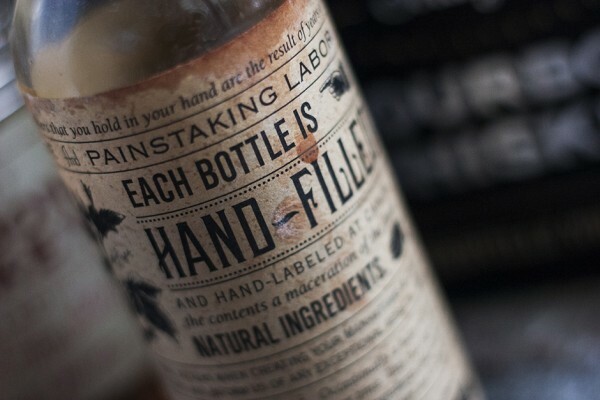 Most producers aren’t willing to go to the trouble required to apply hand-made labels in this way. 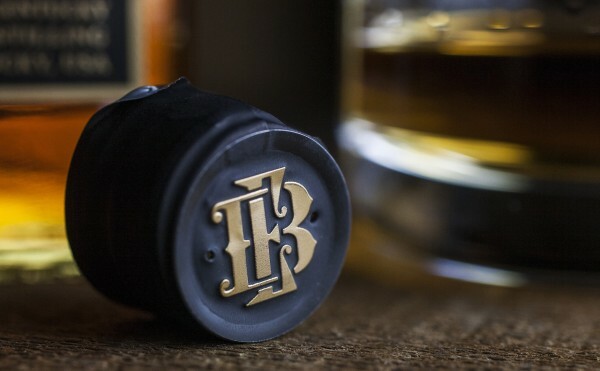 It’s a testament to the dedication of the Beam brothers to take no shortcuts that they are willing to invest the extra handwork at every step of the process. 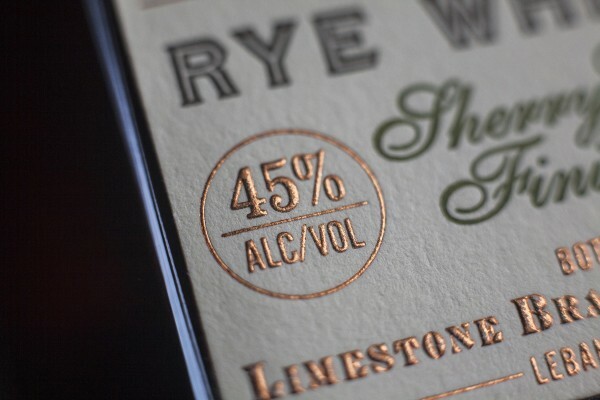 Older images, below, from the original 2016 release, before the white screen printing was added.